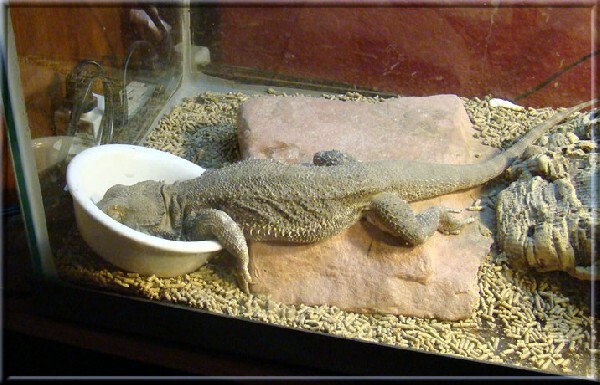 kingsnake.com photo gallery > Bearded Dragons > I can't believe I ate the whole thing! Description: He chooses some odd sleeping positions! Hi.! I've enjoyed your picture montage...always nice to see the family album. It never ceases to amaze me how they will fall asleep .LOL!! I wanted to mention though that those rabbit/alfafa pellets can definitely cause impaction...at the very least difficulty in passing stools if eaten [ and many do eat them.] Just a heads up...I had a call 2 weeks ago about one that was impacted that had been on those.